Nigerian travellers can now enjoy the newly introduced Food and Wine Channels on the award winning Inflight, Communication and Entertainment channel in order to get the behind-the-scene view of how the airline make its on-board menus and its works with global partners. The channels give an inside look into Emirates’ US $700 million dollar investment in fine wines and its regional and seasonal food menus prepared by award-winning chefs. 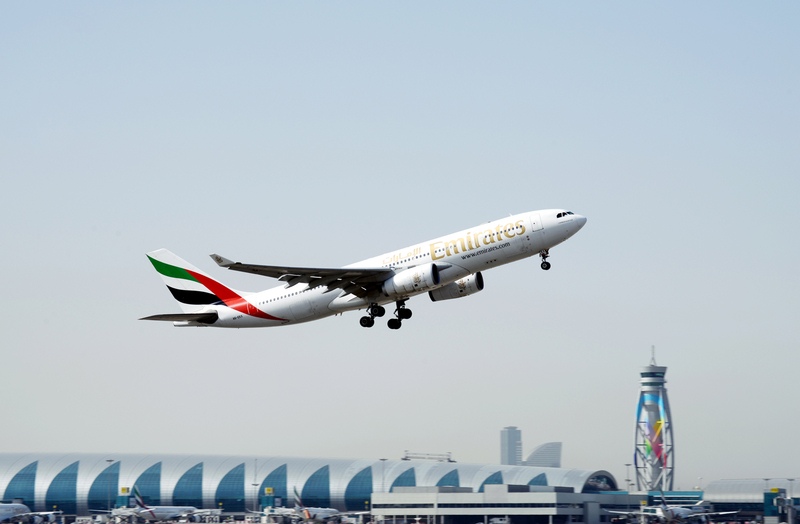 Both the Emirates Food and Wine Channels can now be viewed on all flights. The Food Channel showcases the detail that goes into menu development by Emirates Chefs and ingredient sourcing for onboard meals. The airline serves about 110 million meals each year with the same attention to detail in First Class, Business Class and Economy Class. Each episode explores how the airline brings the finest products on board through long standing partnerships worldwide, including local suppliers and artisans. The first two episodes take the viewer to Umbria, Italy, where Emirates purchases its olive oil from Monte Vibiano and to Sri Lanka to understand how the Dilmah tea is selected to be served on board. The episodes also feature some recipes from its regionally inspired onboard menus so customers can recreate Emirates’ signature Prawn Machbous, or learn how to make a classic crepe at home. The recipes can also be found on emirates.com. The Food Channel was launched with two episodes and more episodes will be added next year. “So if you’re enjoying a fine wine like Château Haut Brion 2004 on board, there is an accompanying wine tutorial to help you appreciate and understand its nuances and what makes it unique. Similarly, if you’ve just enjoyed the Braised Coconut Beef Short Ribs served on your flight and want to recreate it at home, we have that recipe on the Food Channel,” he added. The Wine Channel features a documentary on Emirates’ wine buying strategy, and the direct relationships it has cultivated with the world’s finest winemakers to procure some of the most exclusive vintages. Emirates invests heavily in its cellar and has established a robust wine programme in the last 10 years. Each day, it serves over 80 kinds of wines, champagnes, and ports across its network. A series of wine tutorials have also been introduced on the channel. Oliver Dixon, Head of Fine Wine at MMI (an Emirates Group Company) and part of the Emirates wine buying team leads the viewer through a tutored tasting, giving valuable insight into the history of the producer and the elements that give each wine its flavour. There are currently 10 episodes on board and more wine tutorials will be added soon. Emirates’ Food and Wine episodes sit alongside 3,500 other channels of on-demand entertainment on ice, including movies, award-winning television box sets, tens of thousands of music tracks, podcasts and games. ICE also features varied content such as expert-led LinkedIn Learning courses that cover topics such as Leadership, General Management and Marketing; as well as uTalk language courses offering lessons for beginners. Over 170 aircraft are equipped with Live TV featuring sports tournaments as they happen and real time news updates. Wi-Fi is available on over 99% of the Emirates fleet and customers across all cabins can enjoy 20mb of free data. Emirates Skywards members can enjoy unlimited free Wi-Fi or discounted data plans throughout their flight, depending upon their tier and the cabin that they are flying in.